An idyllic town with a Gothic church (Notre Dame des Anges), old waterwheels and the gentle Sorgue river flowing through its quaint canals, L’Isle-sur-la-Sorgue takes on a whole new character during the weekends. Come Sunday and the place is overrun by art dealers, farmers, visitors, browsers and lensmen! The town is the second largest antique centre in France (after Paris), with shops and galleries selling furniture, painting, pottery, candle sticks and more. And it’s nowhere near touristy junk. The most canny art buyers of Europe can be spotted bargaining at the large antique center called Le Village des Antiquaires de la Gare. 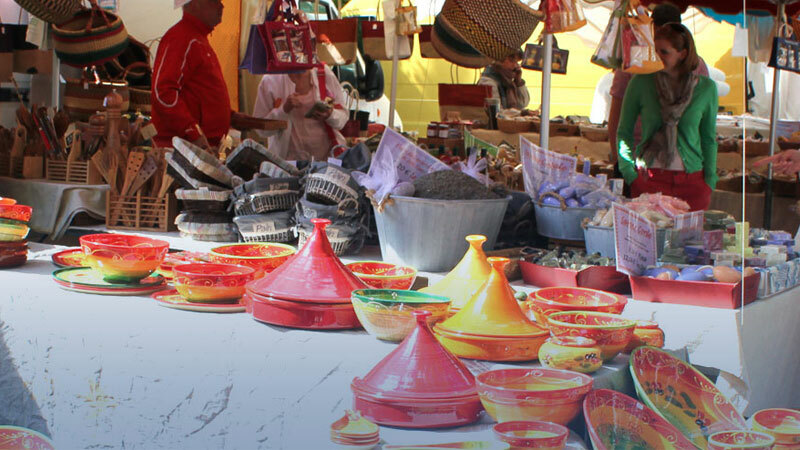 Antiques aside, Sunday sees a vibrant food market bursting with ambrosial local produce like melons, peppers, cheese, olive oil strawberries, spices and poivre (pepper crusted) sausages. 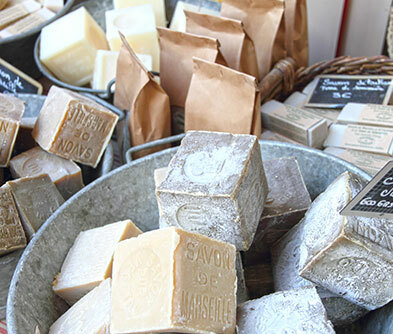 Handmade soap and espadrilles are other attractions. 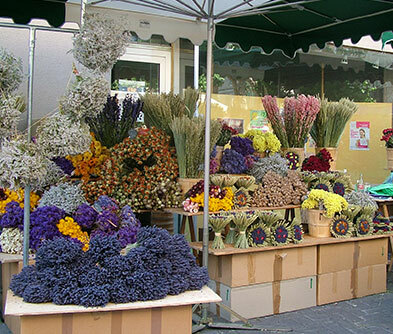 The Brocante or Flea market opens on Saturday itself at the Avenue des Quatre Otages. 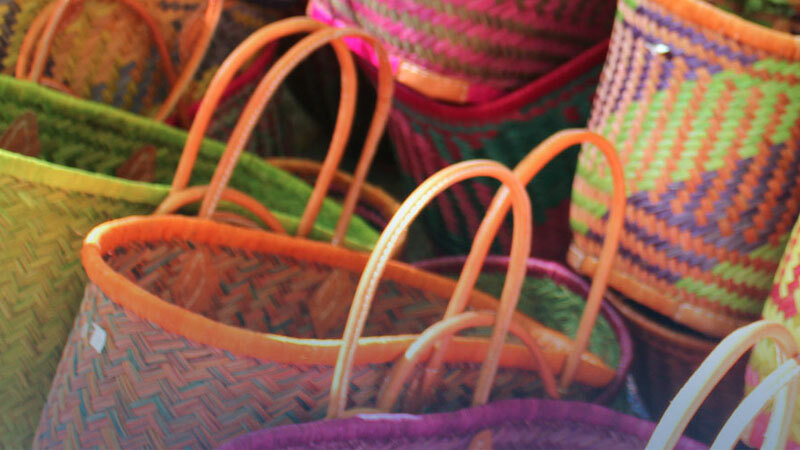 Filled with bric-a-bracs and collectibles, there’s no way you’ll go home empty handed! Provence prides itself on its cuisine, L’Isle-sur-la-Sorgue is no exception. A glass of Rosé can be had at any of its riverside cafés, while home style eateries and Michelin starred restaurants are aplenty, offering memorable meals. For the shopping focussed, mobile vans with wood fired grills offer pizza by the slice. 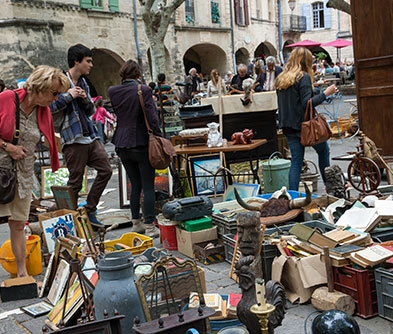 L’Isle-sur-la-Sorgue hosts two internationally acclaimed antique fairs, one during Easter and the other in mid August.